• Structure ID: NBI B12002800000000. • Location: River Mile 634.8. • Daily Traffic Count: 5,200 (2001). • Length: 1,916 Feet Overall, 350 Foot Longest Span. • Width: 40 Feet, 2 Lanes. • Navigation Channel Width: 340 Feet. • Height Above Water: 60 Feet. • Date Built: Opened June 1975. 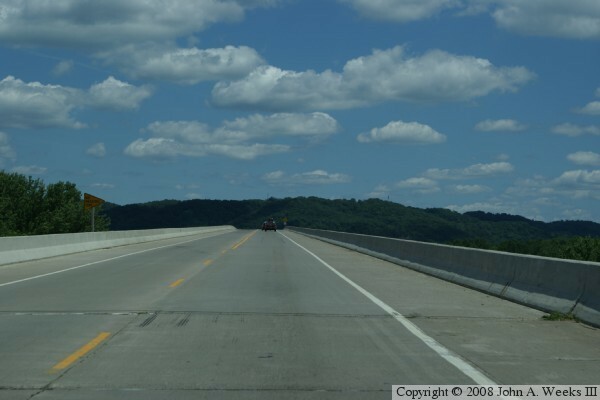 East Channel Bridge is part of the Mississippi River crossing at Prairie du Chien. 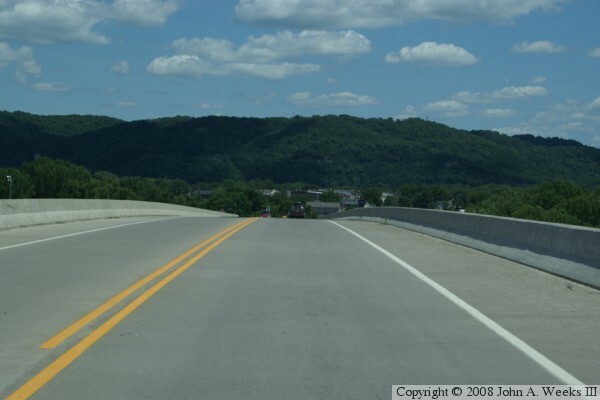 The structure is a conventional steel girder bridge with a concrete deck. 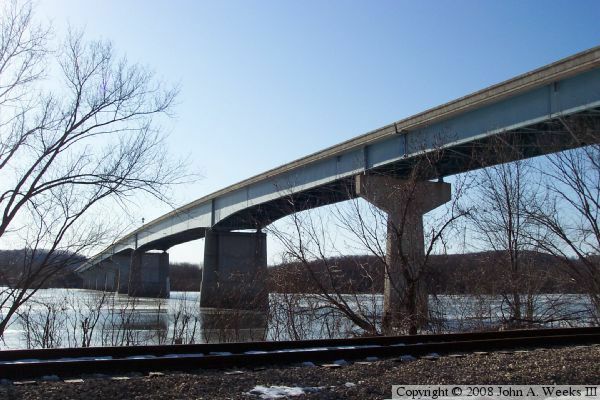 It was built in 1975 along with the Marquette-Joliet Bridge over the main river channel. The east channel is actually wider than the main channel, but the east channel is used only by light craft, the navigation channel does not need to be as high or wide as the navigation channel of the Marquette-Joliet Bridge. Notice that the piers are T-shaped, except for the two center channel piers. This feature serves to mark the navigation channel.